Mommies, grannies and aunties from the neighbourhood have been giving us gharelu nuskhas since time immemorial, on various troubles we face. Be it the homemade antidote to stress, cure to the adamant ache, pre and post do(s) and don’t(s) on various health troubles. Ever wondered where did all of this come from? 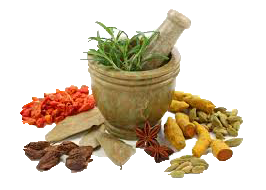 AYURVEDA is a form of age-old natural healing therapy. The word "Ayurveda" has its root in Sanskrit, meaning "life-knowledge".Tibetan, Chinese, Greek medicine to have adopted various remedies from it. It is a perfect amalgamation of time honoured and contemporary methods. Technology and our easy access to it today has made it quite trouble-free to buy Ayurvedic products online (window shopping has become so easy today!!!). So many Ayurvedic products are available in the market to solve all kind of issues ranging from the minor skin problems to other severe disorders. One can always buy Patanjali natural ayurvedic range of products via patanjaliayurnet.net and other e-comm. portals as well. Few of many desirable categories are Healthcare, Body care, women care, baby care, Skincare. The main purpose of Ayurveda is to sync our internal environment first and then sync it with the external world. Ayurvedic specialists respect physical presence, mental presence, and identify it as a unit, with each component affecting the other. Ayurveda has eight approaches to analyze ailment, called Nadi, Mootra, Mala, Jihva, Shabda, Sparsha, Druk, and Aakruti. It helps us to maintain the balance of vaak, pitta and kapha in the body. The ongoing research that involves various related zone, is one of the evidence of how rapid is the growth of Ayurveda. So, why would anyone visit a doctor that frequent and pop in the not so needed medicines when Ayurveda comes in handy? !